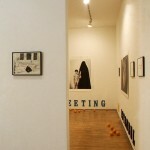 Mercer Union is pleased to present Ghostwriter#1, the first in a series of five project room exhibitions which posit artmaking and writing as interlocked processes. 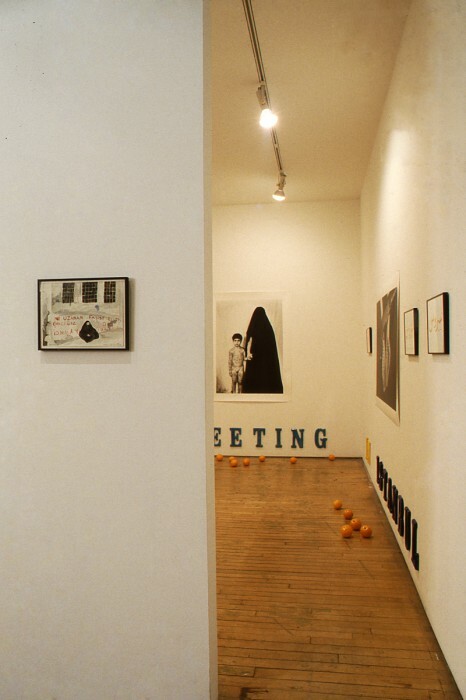 Each exhibition is a collaborative project formed by the fusion of the Ghostwriter/curator and the artist(s) he/she chooses to work with. Each Ghostwriter was selected based on their own visual and written productions, which reflect a diversity of disciplines and communities. 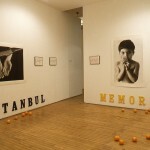 Jamelie Hassan’s stimulus for the Memories of Orangesexhibition arises from a number of meetings with Iranian born Shirin Neshat and her son, Cyrus, in Istanbul. 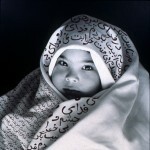 Cyrus is often portrayed with Neshat in her photo-based work. 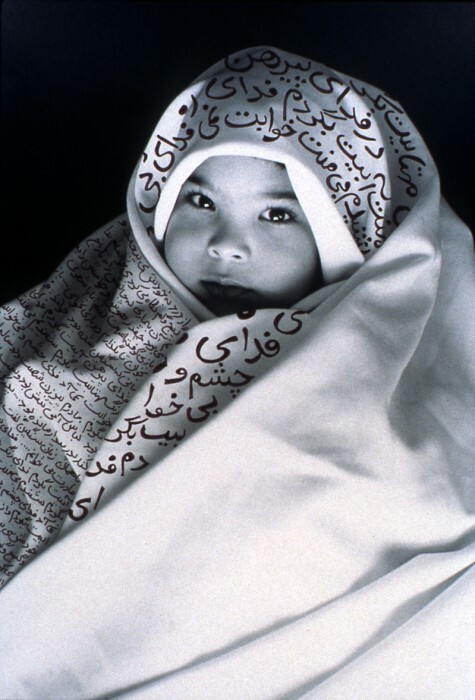 Hassan states that “Neshat’s use of her child parallels some of my own methods of working where a child is central to the work and sometimes even facilitates the work”. The Ghostwriter process allows Hassan and Neshat to create a shared memory in which Neshat’s son played a central role through timely meetings in Istanbul. 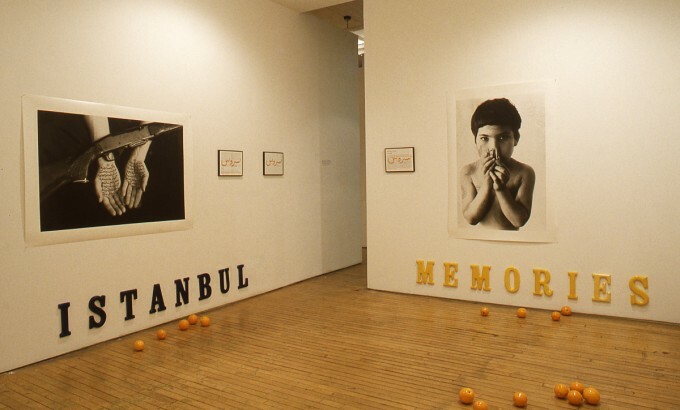 London, Ontario-based Hassan has exhibited, lectured, written and curated extensively in Canada and internationally since completing her education in the Middle East in the 1970’s. 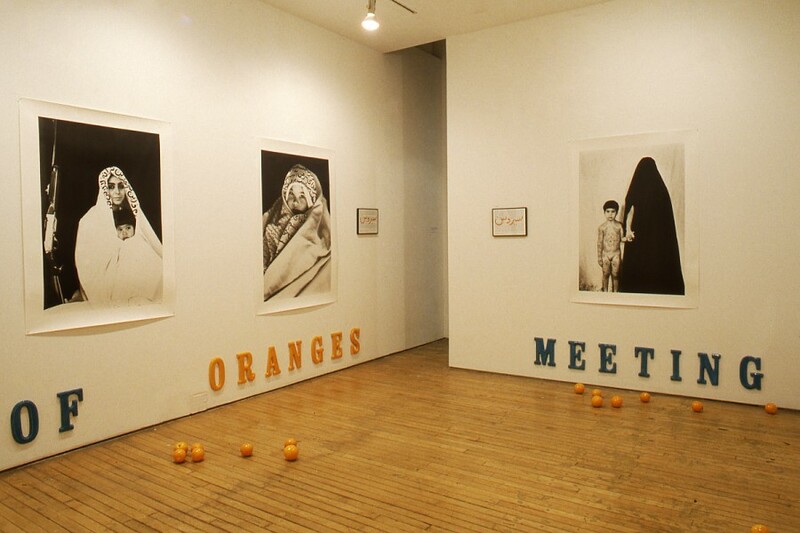 Her most recent 1996 solo exhibition was in Manchester, England at Castlefield Gallery. Iranian-born Shirin Neshat received her MFA from the university of California at Berkely and has been co-directing The Storefront for Art & Architecture in New York City since 1986. 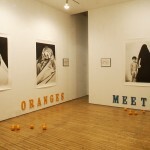 Her most recent exhibitions have included the Sydney Biennial ’96 and the Istanbul Biennial ’95.